It is summer and from time to time the sunshine decides to pop out from behind the grey clouds. Our spirits are lifted but so are our body temperatures and we feel the need to cool off. “Made with real fruit juice” means you can feel all ‘healthy’ whilst trying to avoid seductively sucking on one of these. You get five of these for £1 which is not really that fantastic if you think about just making your own squash lollies but these are good if you do not have the stuff or the time for that. I mean the sticks are pretty good and we washed them and have kept hold of them so I guess that is good..
Much like a pack of starburst or Chewits (do they even still exist?) I could have done with a bit more green and red bits than orange and yellow. The flavours were nice but they would have done better being labelled citrus or tropical fruit lollies instead. I would actually recommend these if you only live near a Sainsburys (I got these in a local) and are desperate for something cooling for a treat or dessert instead of being tempted by the overpriced ice cream vans that pop out the woodwork on a warm day. These are £1 for eight which is a pretty good price for the quality and quantity but I was disappointed that every single one was cracked and the chocolate was putting me on edge that it was going to crack and fall everywhere. One of the main things that I am always looking for is a neopolitan ice cream choc ice. I have had wafer sandwiches like it but never a choc ice but these with plain chocolate and vanilla ice cream still have a balance of flavour with the vanilla coming through rather than it just being 100% creamy and being soft enough to melt in the mouth without going to mush in your hand whilst still holding it. 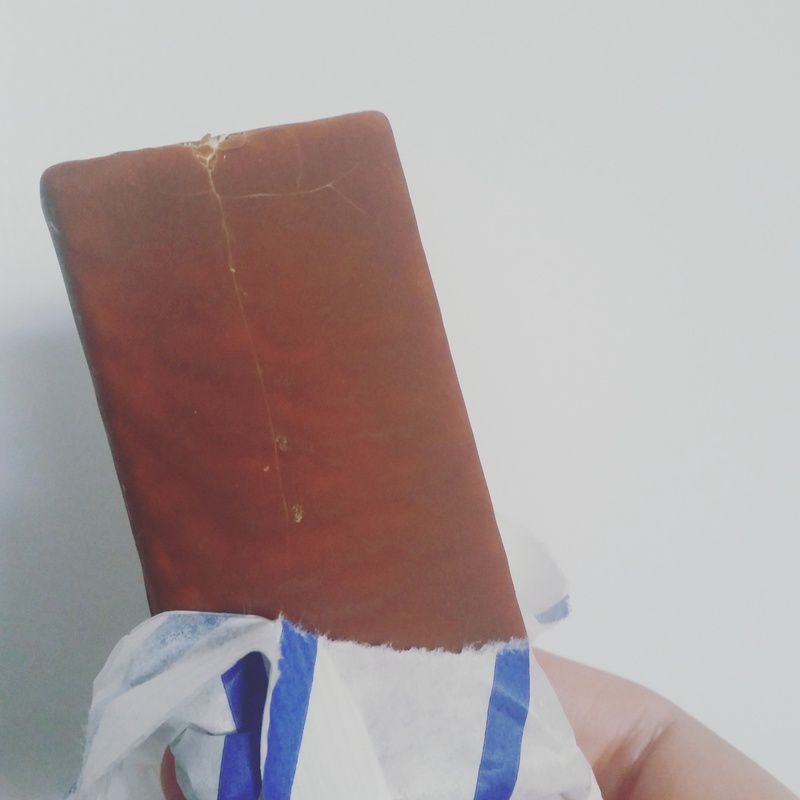 The choc ice is something that I have always found myself amazed by and how it is possible but they are tasty and help to ensure I only eat the recommended portion of ice cream. Sure they are far from fancy but when you just want to sit in your garden and relax whilst soaking up the suns beams do you really want to dig into your sad gloomy day Ben and Jerrys for some lighr relief? No, did not think so. 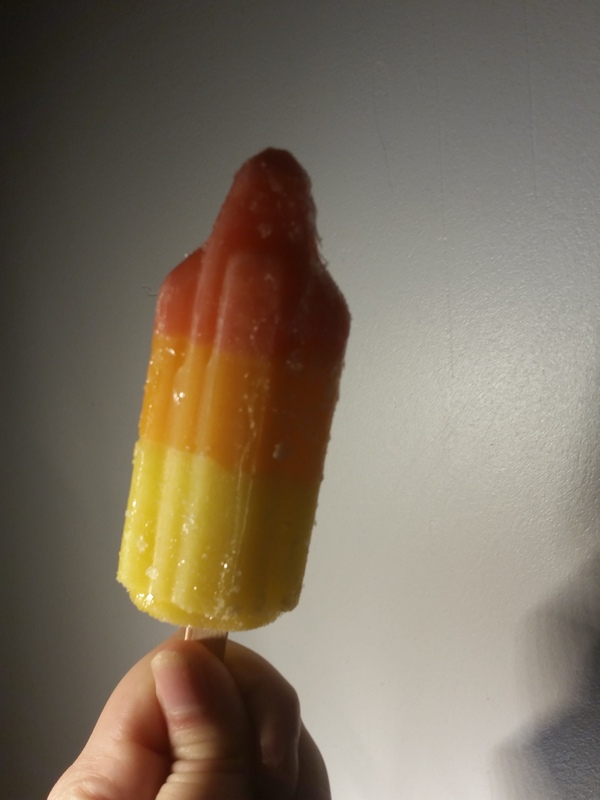 Until I met my partner I never really considered how the yellow bit on aome rocket lollies is pineapple and for others it is lemon but after an education in rocket lollies I discovered the difference. It was my partner that bought these and he stood in the shop looking at the ingredients on the box to check it was pineapple and not lemon. He takes it that seriously. Ten of these came in a box and I think they were less than £1 but even if there would be no change from that coin it would still be decent enough value. 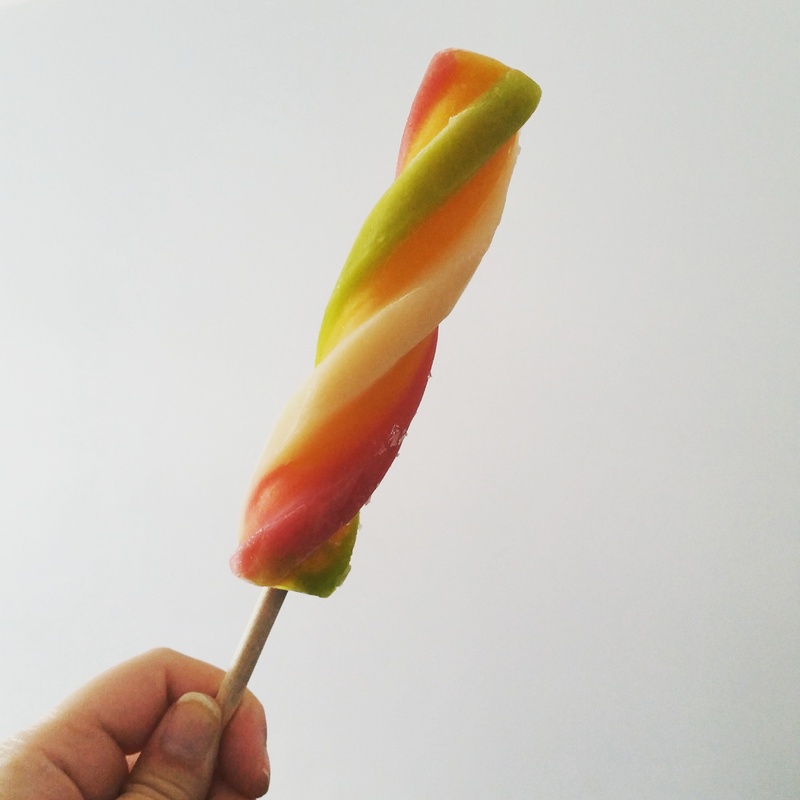 Whilst the flavours were great and they held the form well we did have one big issue with them and so much so my partner said if I discussed them to mention it “the sticks are too short” or perhaps they are just a bit too far intothe lolly but holding them is not very comfortable. 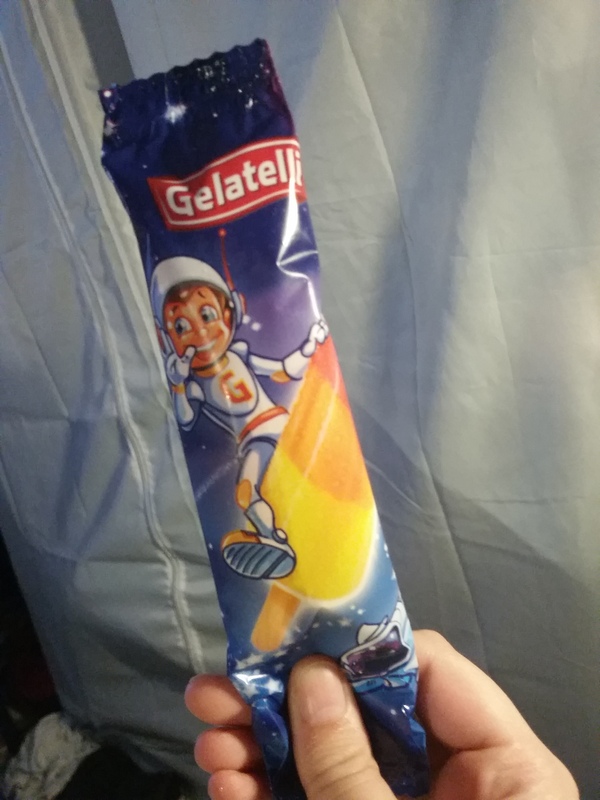 I can imagine a small childs hand being able to grip onto the stick perfectly but clearly rocket lollies are for the world. These were my favourites and out of the three I would recommend these and the stubby sticks as a cool down summer treat. But I will leave you with the packaging of the lolly because it reminds me of a Soviet Union poster.. This entry was posted in Food and Drink, Product Reviews and tagged dessert, Drink, eating, food, food blog, food blogger, food bloggers, food review, fruit, healthy, ice cream, lblog, lblogger, lbloggers, life, Lifestyle, lifestyle blog, lifestyle blogger, lifestyle bloggers, lolly, pudding, refresh, refreshing, review, simple, summer, sweet, thoughts, treat. Bookmark the permalink.